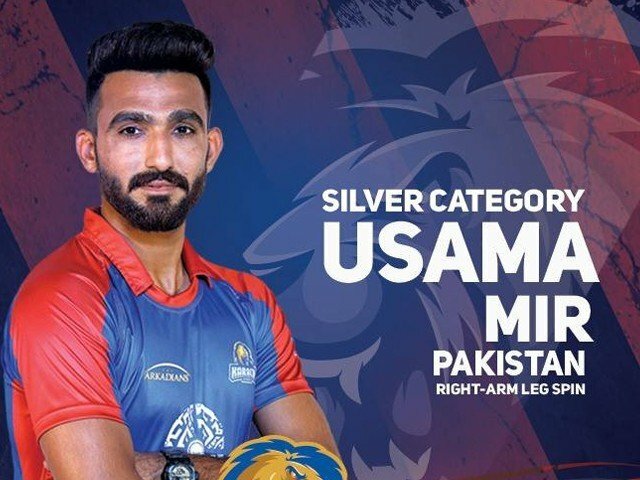 In 2015, Sialkot’s Usama Mir shot to fame after an impressive T20 tournament, where he regularly took wickets for his team, enabling them to win the Haier T20 Cup. Mir had played some T20 matches a few years prior to this, but 2015 was his real breakout season. He was then rewarded with a place in Pakistan’s premier T20 tournament, the Pakistan Super League (PSL), with the Karachi Kings. In the 2016 season, Kings played their first game, and made a mistake of not having a specialist spinner on their side. They rectified this mistake the next game by selecting Mir. Mir came in and immediately made his presence felt. He bowled three overs for only 14 runs, and took the wicket of Andre Russell. In the 2016 season, he played seven games and was largely impressive in each one of them. His scalps at the end of the season included the likes of: Cameron Delport, Kevin Pietersen, Ahmad Shahzad and Khalid Latif. All of these are batsmen with top pedigree, highlighting the talent and skill of Mir. Whilst Mir’s 2016 PSL season was impressive, it was his 2017 tournament that caught the headlines. Despite playing fewer games than others, Mir finished as the third highest wicket taker in the tournament taking 12 wickets in only eight games. To gain such high praise from such a endowed batsman highlights the ability and talent of Mir. 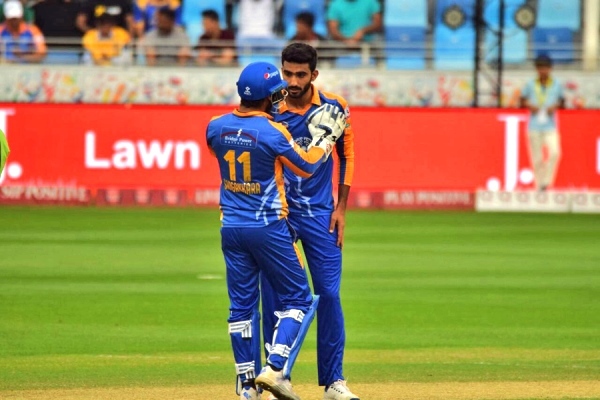 Mir’s performances were steady and impressive throughout the tournament, but it was against Peshawar Zalmi where his career changed, and he rose to fame. Against a rampant Shahid Afridi, Mir was given the task to defend 18 off the final over. It couldn’t have started worse, after being hit for a six, but what showed his character and heart was the way he came back from that, taking Afridi’s wicket and sealing the game for his side. What makes his performance even more special was that prior to starting the tournament, Mir was out of cricket for six months with a potentially career-threatening injury. He came back and finished as the third highest wicket taker. After this tournament, Mir was selected in the Pakistan Under-23 team where he finished as the highest wicket taker for the team. His career seemed to be on the right path with a debut coming his way. Regular reports were coming out in the media that he was soon to be included in the Pakistan team. 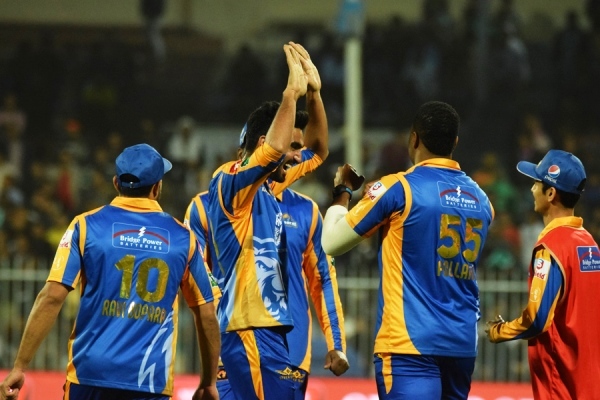 However, instead of him, Shadab Khan was given the debut cap, which I found surprising. Mir played eight games in the season and took 12 wickets. Shadab, on the other hand, played eight games in the season and took nine wickets. Based on these stats, Mir should have been selected but instead Shadab was. I felt that both should have been considered. After Mir’s amazing 2017 season for the Kings, he was retained in the team. I expected him to play every game in the 2018 season; however, he was shockingly left out for the majority of the season. Wrote this before match too and some people were actually bashing it. Karachi Kings are playing with 4 pacers and 1 allrounder spinner on a spin track while a full time spinner Usama Mir is sitting outside. Yes a kid is making decisions for this team. Mir ended up playing only two games in the entire season; both were at the back end of the tournament. He only played due to an injury of Imad Wasim. I found it abysmal the way he was treated. After impressing in his first two PSL seasons, Mir should have been given more opportunity. One argument that could be put forward for his lack of opportunity was that in the 2018 season, Kings had leg-spinner Afridi in the team, and it was unlikely the team would field two leg-spinners. However, in the 2019 PSL season, Kings released Afridi yet Mir didn’t play a single game this season. PSL is supposedly about ‘nurturing our future talent’, yet the complete opposite is happening in this case. Imagine how Mir’s confidence was affected due to the way he was treated by the Kings’ management. If the Kings’ management had no intention of playing Mir, why retain him in the squad? He should have been released for another franchise to capitalise on. I am relatively sure the Multan Sultans would have utilised the skills of Mir. If the Kings want to realise where they are going wrong each season, they should look at the way they’ve treated young players. Mir is not the only one; others such as Hasan Mohsin have been treated equally as bad. Mohsin is one of the finest young players in Pakistan. 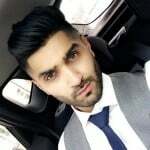 He was part of the Kings squad for the 2017 and 2018 season, yet did not play a single game. Without playing a single game, he was released from the franchise. Pakistan has a history of wasting talented cricketers; please do not let Mir be another one of those. We need to build our national team and the only way to do that is by giving young players a chance on major platforms.